The Science and Engineering Information Center is located on the 1st floor of Lockwood Memorial Library. 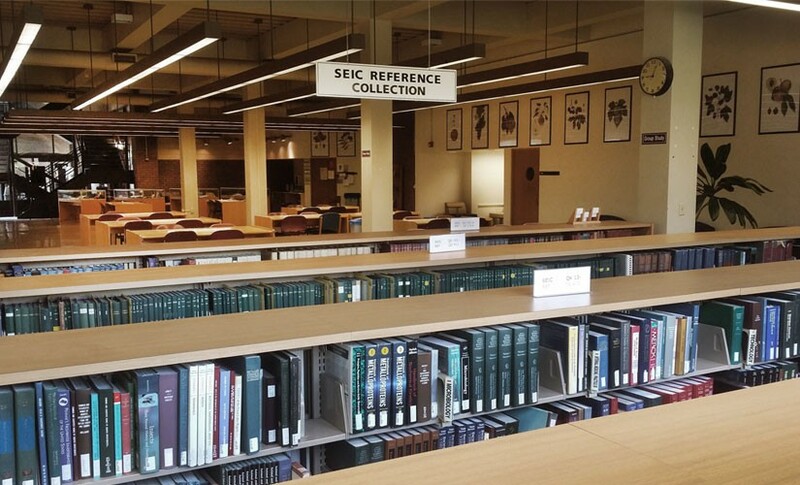 Welcome to the new academic year and to a new, permanent home for the science and engineering librarians at UB and our book, journal, and reference collections. We are now located in Lockwood Library, with our offices on the 1st floor and our book and journal collections on the 3rd floor of Lockwood. To celebrate the opening of our new space in Lockwood, on September 29th, from 11am to 3pm, we will be holding a Science & Engineering Information Fair. You will have the opportunity to meet us and learn about library resources for research and coursework. There will be food, giveaways, and raffle prizes. The fair will feature information tables staffed by UB’s science and engineering librarians as well as by trainers who will be visiting for the day from IEEE, SPIE, Scopus, and Knovel/Engineering Village. Come learn about library databases, e-books, and e-journals in all areas of science and engineering — and qualify to win prizes donated by our co-sponsors, which include the Institute of Electrical & Electronics Engineers (IEEE), the Association for Computing Machinery (ACM), the American Chemical Society (ACS), Chemical Abstracts Service (CAS), Elsevier, and Springer. Tuesday, September 29th, from 11:00 a.m. to 3:00 p.m.